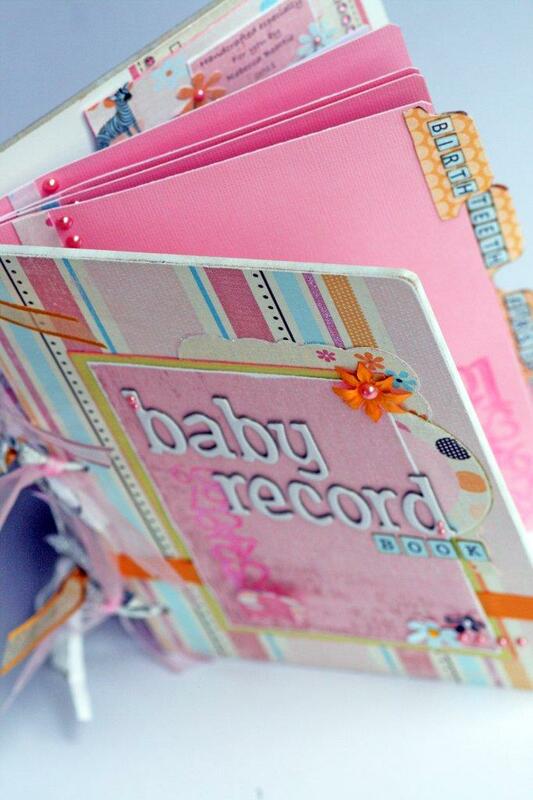 Today I received the latest issue of Australian Scrapbook Ideas in the mail that has my first feature article. I really enjoyed doing this feature, and just loved how the layouts came together. 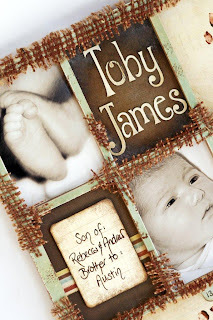 I hope it provides readers with many new ideas and ways they can get the most out of their chipboard elements along with some 'boy' themed layout ideas. 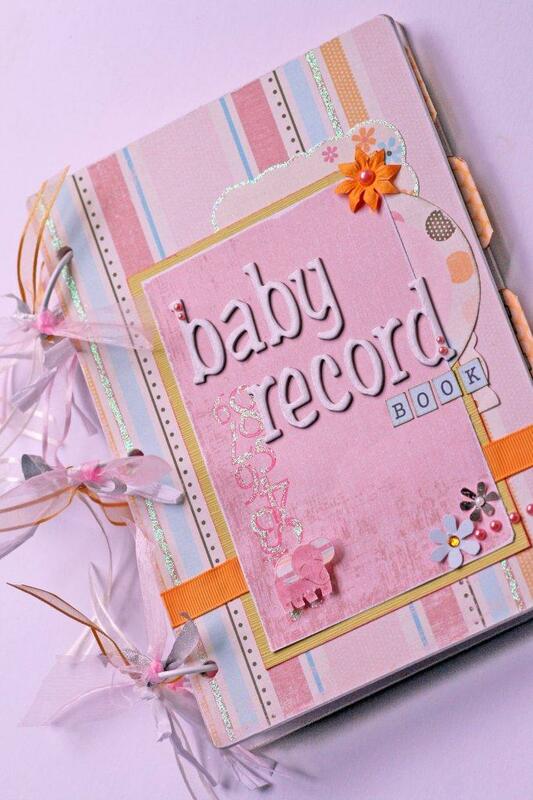 I thought I would also take an opportunity to share a little birth record book I made recently. 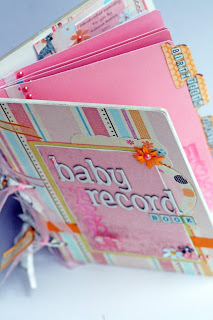 I really enjoyed working with what is now an old paper range by making memories that I had in my stash - YES! I used some paper in my stash rather than buying paper for it. Well I hope you enjoyed my little share today. I have been very busy with my scrapping lately, just unfortunately not able to share them yet - but hopefully I will be able to REAL SOON! Ok, well I wan't exactly sure if the Helmar Guest Design Team spot was up for grabs by those outside of the US, but I thought, well why not give it a go anyway. So here is what I have created for the call. I don't think I have a layout/card or off the page project that doesn't have any Helmar, so I thought I would use it as an excuse to create some new stuff. 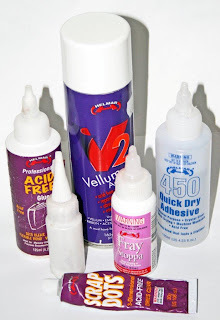 The helmar products I have used are pictured below: Helmar Acid Free, 450, Vellum Adhesive, Fray Stoppa and Scrap Dots. I created these similar styled cards and gift box for some special friends of mine. Again my Helmar 450, Acid free and Scrap dots got a work out. I adhered the paper backgrounds to the second card and noodle box using some of the acid free glue. 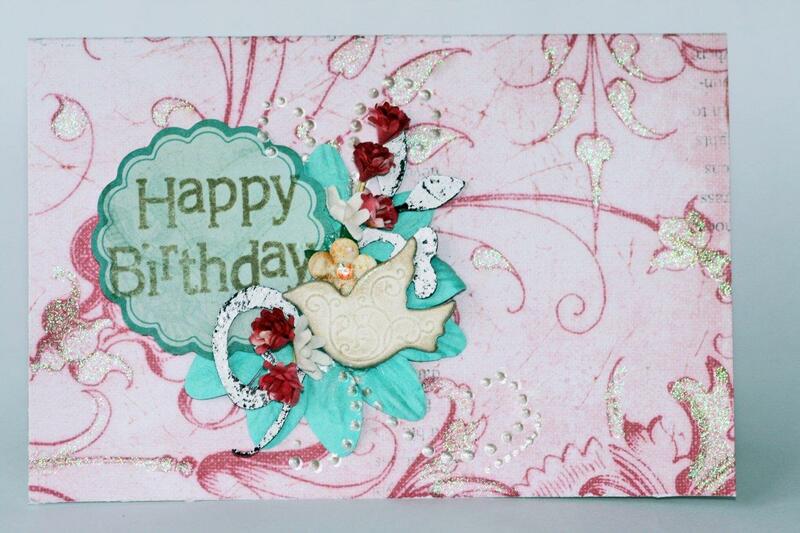 I then used a combination of the 450 and scrap dots to adhere the embellishments to the cards and the noodle box. 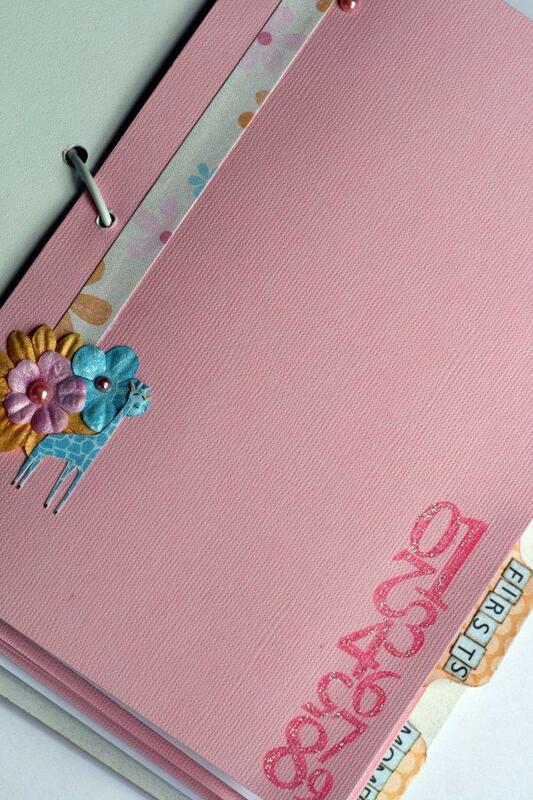 The message die cuts were adhered using some scrap dots to allowing multi level raising. I found the scrap dots particular effective in adhering the metal embellishments on the noodle box as it is very strong once dry. 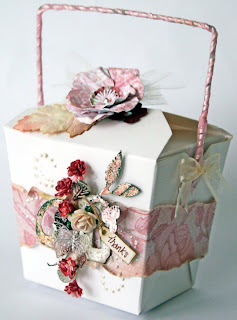 The flower at the top of the noodle box was created using some of the Prima Marketing paper. I used my Helmar 450 to adhere the petals as I created it, and then to adhere it along with the netting to the top of the box. I also used my 450 to stick the organza ribbon onto the handle of the noodle box. I did this by running glue along the inside of the ribbon and then wrapping it around. I did this with about 3 inches of ribbon at a time. The 450 was great for this as the glue didn't bleed through and leave a stain. 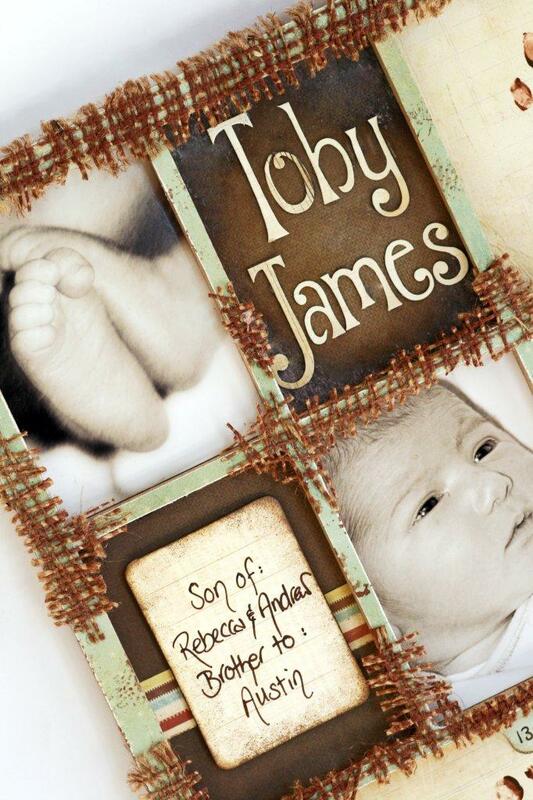 To create this frame I used my Helmar 450, acid free glue and scrap dots. I used my acid free glue to adhere the paper from the ‘Up Up and Away collection’ to the frame and then cut out the holes. Once I stuck the paper for each of the holes on the back of the frame, I added some acid free glue to the back of each one to allow it to adhere to the backing board. I also added some 450 around the frame to give it a strong bond with the backing board that would dry quickly. After spraying the hessian with some glimmermist to give it a darker brown colour, I removed some of the threads to give it a less dense appearance, allowing the paper beneath it to show through. I then used my 450 to adhere the material to the frame knowing that it would not show up when it was dry. I also needed for it to adhere quickly so without me having to play around with it so that it did not fall apart . 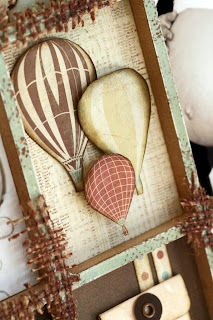 For this project I use my scrap dots adhere the embellishments to the frame that required some dimension such as the balloons. I enjoyed being able to layer this product up to give different heights to the balloons giving it a greater 3D effect. I personally like using scrap dots more than any form of foam tape in this way as it is less noticeable on the raised piece when looking at the project from the side. It also gave the balloons a real feeling of floating in air this way. Lastly I used my Helmar 450 to adhere the embellishments to the frame, knowing that they would be extremely secure given the strength of this product when dry. Anyway, I recently went to a crop and decided that this would be my project for the night, and well here it is. He was VERY sick on his birthday, so I was pleased to have gotten even this many photos of him. 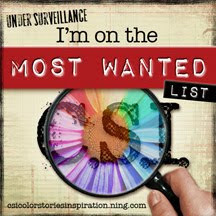 I used 'My Minds Eye - Alphabet soup' boy range to create it. I just loved working with this paper, so bright and fun. 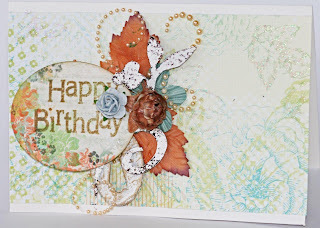 There was a lovely die cut set that came with it too which was great for embellishing the page. 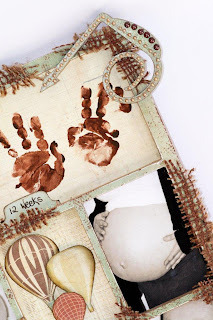 I did have a learning out of this though - don't go and round the corners on your photos until you are actually putting it together on the layout... 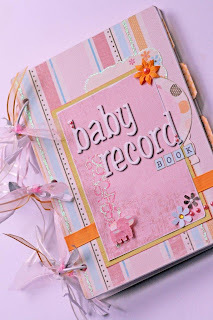 I had previously done this (must have been a new thing for me at the time of putting it together with the paper range) to save me time when I was at a crop and wanting to work on it... I just struggled to set it all out in the end because of it. I am happy with the page, but could have been happier I think. You can't see much of the dimension in the photo, but here is quite a bit which worked well with this paper range. back soon with some more things to share hopefully! 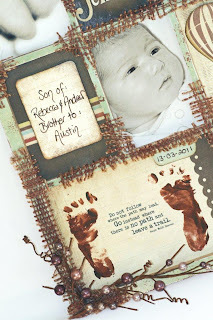 Create at Home - Tomorrow's Memories. 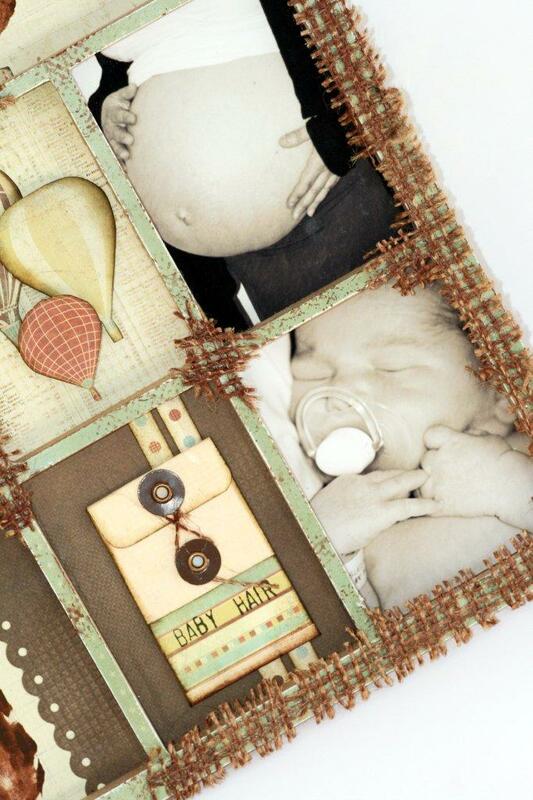 Tomorrow's Memories have expanded their range of stock to now include some amazing packs that you can work with in your own home! 'Create At Home' kits offer a selection of coordinating papers, embellishments, chipboard and other products carefully packed and presented in a box that gets delivered right to your door. Along with a beautiful selection of product, the kit will consist of one layout complete with photo and instructions, and a photo of another layout that you will also be able to create with the products in your kit. You will still have heaps of wonderful product left over to make your own unique projects! 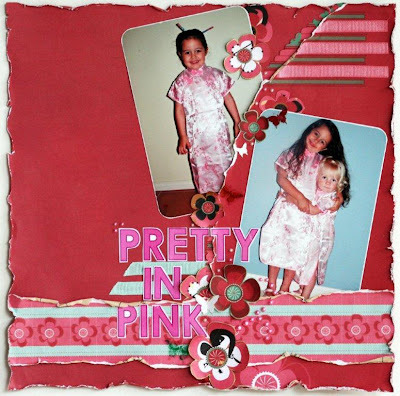 Just click on this link - Create at Home to get more information and purchase a lovely kit.